History: middle aged female with cough. 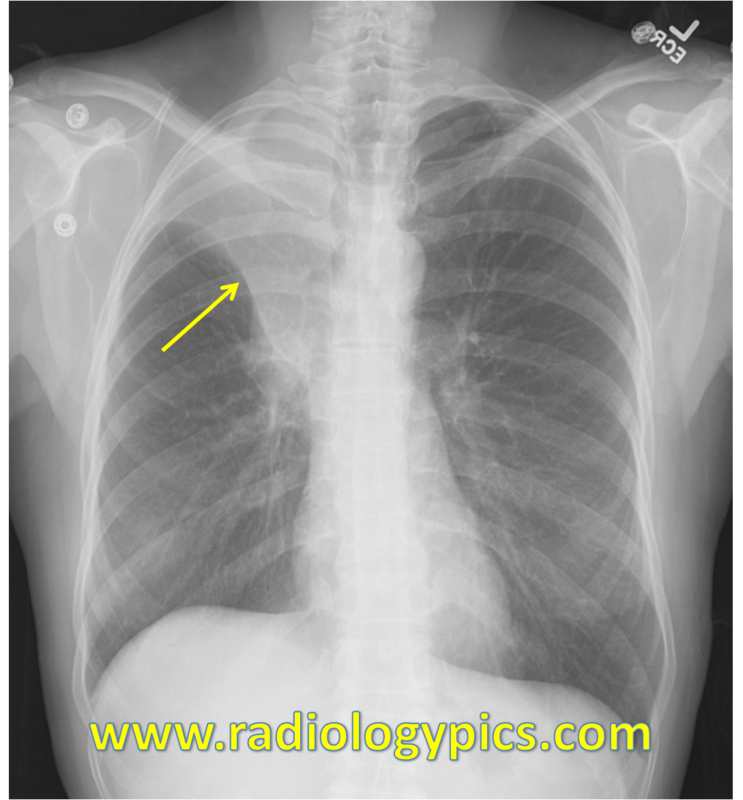 Right upper lobe collapse – Frontal radiograph of the chest reveals a classic Golden S sign (yellow arrow), compatible with complete collapse of the right upper lobe. 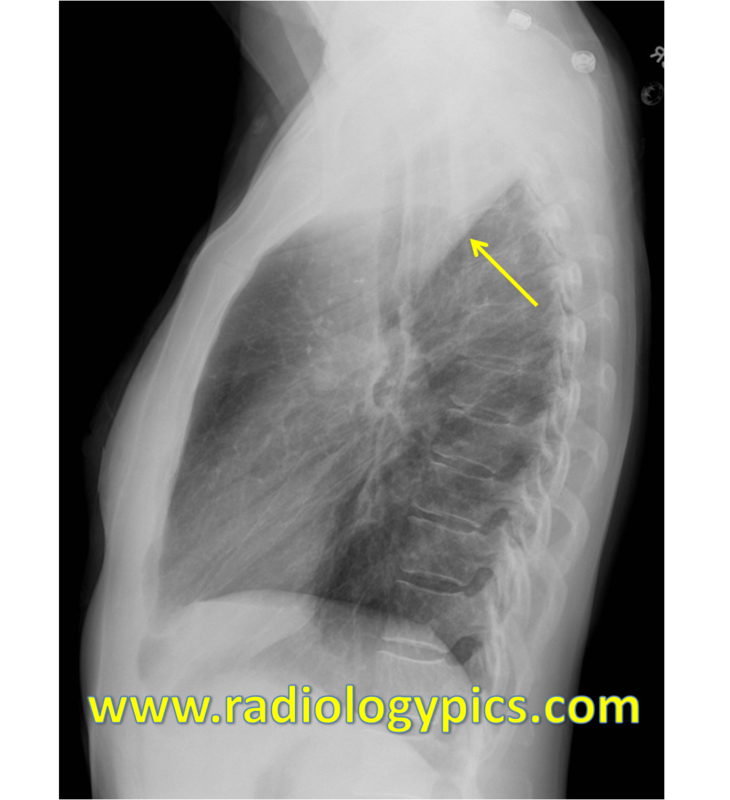 Right Upper Lobe Collapse – Lateral chest radiograph reveals complete collapse of the right upper lobe with opacity anterior to the right major fissure (yellow arrow). Right Upper Lobe Collapse – Coronal CT of the chest with intravenous contrast reveals complete collapse of the right upper lobe with elevation of the minor fissure (yellow arrow), indicating a Golden S sign on CT. This is a nice example of right upper lobe collapse and the classic Golden S sign, which is the elevated minor fissure convex inferiorly on the proximal/medial portion and concave inferiorly on the distal or lateral portion. This sign is classically seen with post-obstructive atelectasis due to a central hilar mass, which this patient had (not shown). Case courtesy of Andrew Yen M.D. 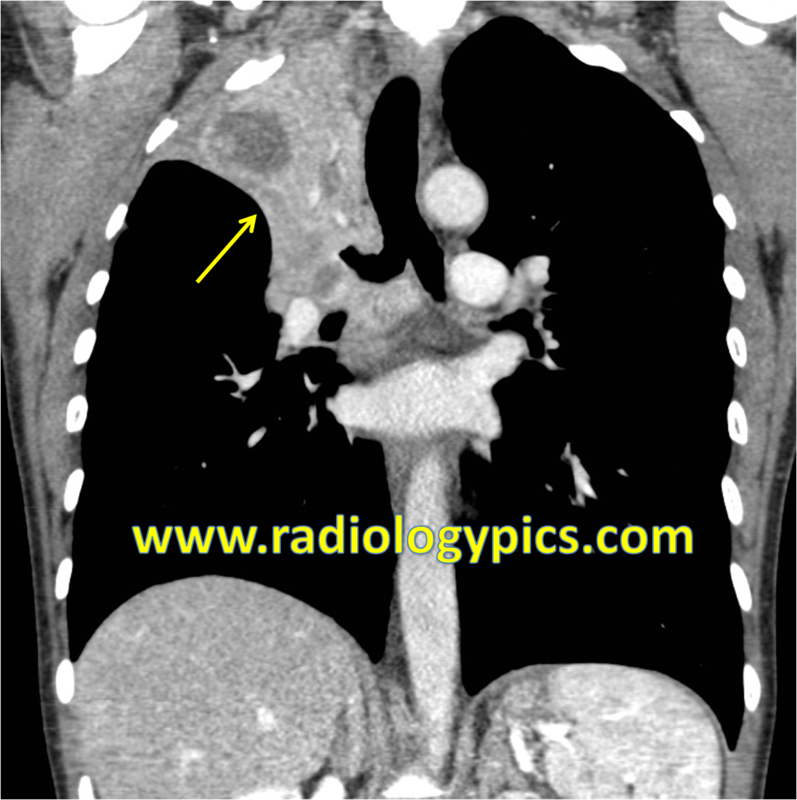 See another case of atelectasis here. Gupta, P. The Golden S Sign. Radiology 2004; 233:790–791. 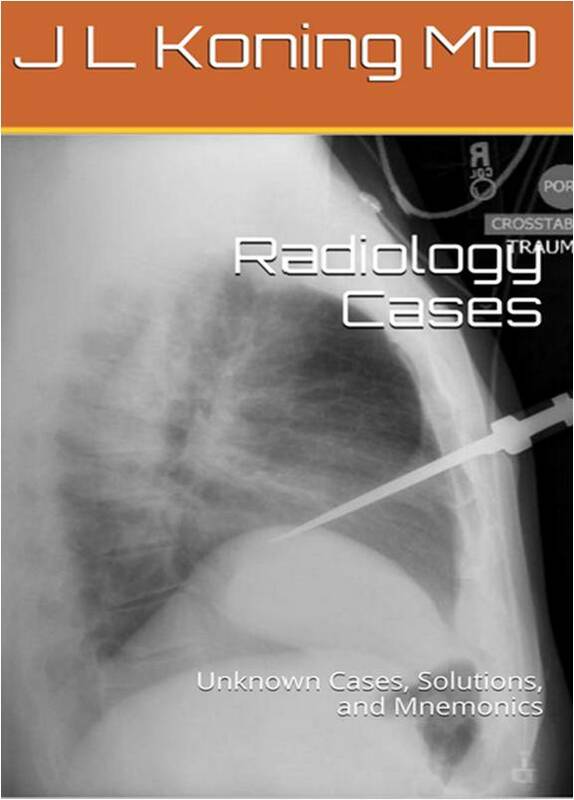 Check out my e-book, Radiology Cases, on the Amazon Kindle Store. That just means the technologist put the marker on the film backwards, but that is still the left side of the patient and there is no situs inversus in this patient.